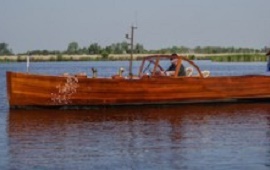 Boat rental Frisian lakes. Bootnodig? Saloon boat Juntien lies at Terherne. 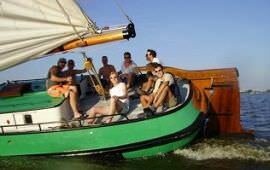 You can hire this boat for 6 personen. 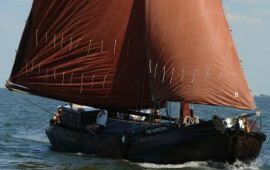 With this ship you can sail here: Frisian lakes. Tjalk Tjet Rixt lies at Terherne. 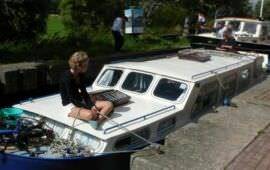 You can hire this boat for 8 personen. 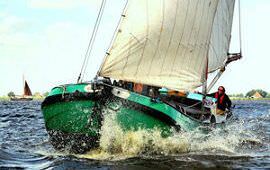 With this ship you can sail here: Frisian lakes, Sneekermeer. Motor ship Voortvarend lies at Akkrum. You can hire this boat for 10 personen. 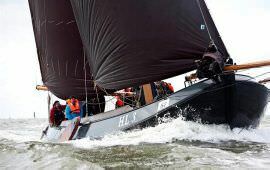 With this ship you can sail here: Frisian lakes. Skûtsje Dicky van der Werf lies at Gaastmeer. You can hire this boat for 12 personen. With this ship you can sail here: Frisian lakes. 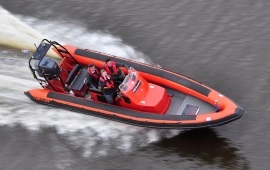 Speedboat Tornado RIB 225 pk lies at Lelystad. You can hire this boat for 12 personen. With this ship you can sail here: The IJ, IJsselmeer, IJmeer / Pampus, Ketelmeer, Frisian lakes, Sneekermeer, Friese wouden, Fluessen, Hegemer Mar, the Markermeer, Waddenzee. Saloon boat Swan of Teynham lies at Terherne. You can hire this boat for 12 personen. With this ship you can sail here: Frisian lakes. 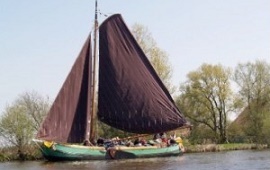 Botter Bornrif lies at Harlingen. You can hire this boat for 12 personen. 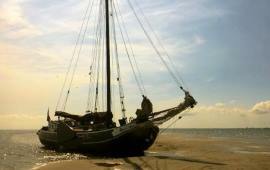 With this ship you can sail here: IJsselmeer, Frisian lakes, Waddenzee. Skûtsje Vier Gebroeders lies at Heeg. You can hire this boat for 12 personen. With this ship you can sail here: Frisian lakes. 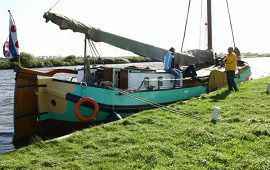 Barge Bonte Piet lies at Harlingen. You can hire this boat for 12 personen. 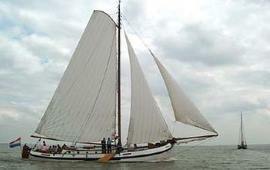 With this ship you can sail here: IJsselmeer, Frisian lakes, Waddenzee. Barge Struner lies at Koudum. 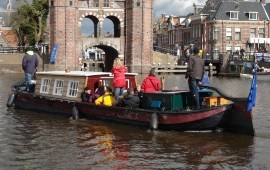 You can hire this boat for 12 personen. With this ship you can sail here: IJsselmeer, Frisian lakes, Waddenzee. Skûtsje Elisabeth lies at Sneek. You can hire this boat for 12 personen. 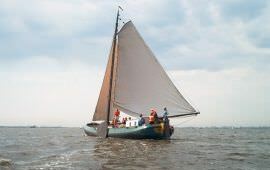 With this ship you can sail here: IJsselmeer, Frisian lakes, Sneekermeer. Barge Brave Hendrik lies at Harlingen. You can hire this boat for 12 personen. 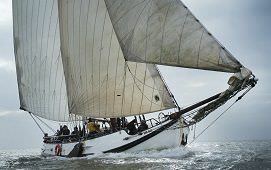 With this ship you can sail here: Harlingen, IJsselmeer, Frisian lakes, Sneekermeer, Friese wouden, Fluessen, Waddenzee. Tjalk Zuiderzee lies at Muiden. You can hire this boat for 12 personen. 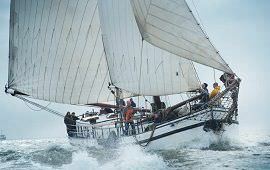 With this ship you can sail here: The IJ, IJsselmeer, IJmeer / Pampus, Frisian lakes, Waddenzee. Skûtsje Swaentsje lies at Turfhoeke. You can hire this boat for 12 personen. 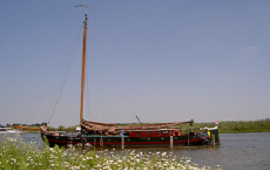 With this ship you can sail here: Friese wouden. 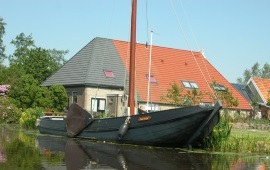 Skûtsje Eelkje II lies at Elahuizen. You can hire this boat for 12 personen. 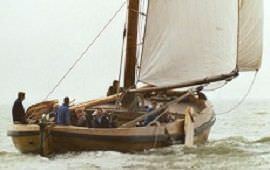 With this ship you can sail here: Frisian lakes. Skûtsje Twee Gezusters lies at Akkrum. You can hire this boat for 12 personen. 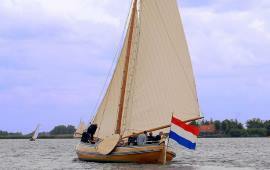 With this ship you can sail here: Frisian lakes. Skûtsje De Twee Gebroeders lies at Terherne. You can hire this boat for 12 personen. With this ship you can sail here: Frisian lakes. Clipper Nova Cura lies at Makkum. You can hire this boat for 12 personen. 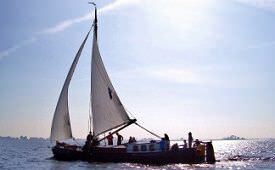 With this ship you can sail here: IJsselmeer, Frisian lakes, Waddenzee. 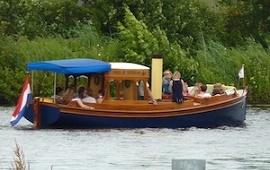 Canal tour boat Noardlân lies at Sneek. You can hire this boat for 12 personen. With this ship you can sail here: Sneekermeer. Barge Ebenhaëzer lies at Zeewolde. You can hire this boat for 12 personen. With this ship you can sail here: IJsselmeer, Frisian lakes, Waddenzee. Skûtsje Twee Gebroeders lies at Sneek. You can hire this boat for 12 personen. With this ship you can sail here: IJsselmeer, Frisian lakes, Sneekermeer, Waddenzee.